Successfully Added DVR Card - 4 CH Camera Input to your Shopping Cart. Chinavasion wholesale DVR card product with 4 channels Video input. Features high quality 9-bits ADCs image and 8-150M/H/C compression ratio. 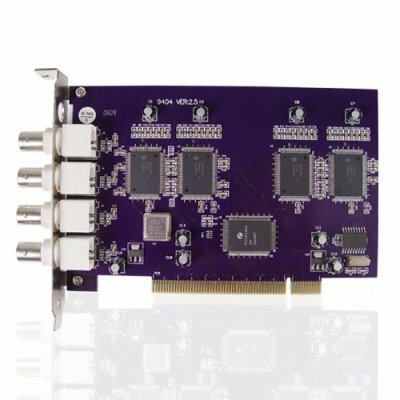 Compatible with 4 channels real-time monitoring and 100 fps in PAL, 120 fps in NTSC Video frame rate. 640 X 480, 352 X 288, 320 X 240 Display and Recording resolution and Windows 2000 / XP operating system let it be popular everywhere with Low wholesale price and no MOQ at all. NOTE: The colour of the circuit board may differ from that pictured.